The EIF and the Calabria Region have today signed in Catanzaro an agreement to set-up and implement a Holding Fund in Calabria under the JEREMIE (Joint European Resources for Micro to Medium Enterprises) initiative to facilitate access to finance for micro, small and medium-sized enterprises (SMEs) based in the region. This EUR 45 million Holding Fund will enable the Calabria Region to use the European Regional Development Fund (ERDF) resources made available until 2015 to support local SMEs, in particular start-ups and innovative micro businesses. The Holding Fund will operate in partnership with selected banks in order to provide loans to SMEs in Calabria based on the principle of credit risk-sharing. This innovative instrument will allow providing loans for investment with a higher risk and rewarding profile and will ensure an easier access to credit. By combining JEREMIE public resources with private co-financing from financial intermediaries, the Holding Fund could reach a significant leverage effect, thus doubling the original resources available for financing regional enterprises. Representatives signing the agreement in the presence of Mr. Giuseppe Scopelliti, President of the Calabria Region, were Mr. Bruno Robino, EIF’s Head of Region responsible for JEREMIE operations in Italy, France, Spain, Portugal and Malta and Mrs. Mariagrazia Nicolò, Director General of the Production Activities Department. Accordingly to Mr. Scopelliti: “With this agreement, by adopting new modern instruments of financial engineering, the Calabria Region turns the page: we make available EUR 45 million to establish the JEREMIE Holding Fund. Through these resources we will make available, in the period 2012-2014, EUR 80 million loans at reduced interest rates to over 600 micro, small and medium sized enterprises in the Region, in close cooperation with the local banking system. The revolving nature of the Holding Fund, through the loans’ repayments, will become a long-term and sustainable instrument for the benefit of the local businesses. Each company may ask for up to EUR 500 thousand loan to be repaid in ten years." Bruno Robino added: "I am delighted to sign this agreement, which confirms the growing success of the JEREMIE initiative particularly in the Mezzogiorno (the Southern Italian Regions). These new instruments should bridge existing financial gaps facilitating access to finance for SMEs and enhance entrepreneurship in Calabria". The revolving nature of the Holding Fund, which does not provide grants to beneficiaries, will allow ensuring long-term support for SMEs and could increase the number of entrepreneurs benefiting from the EU Structural Funds. 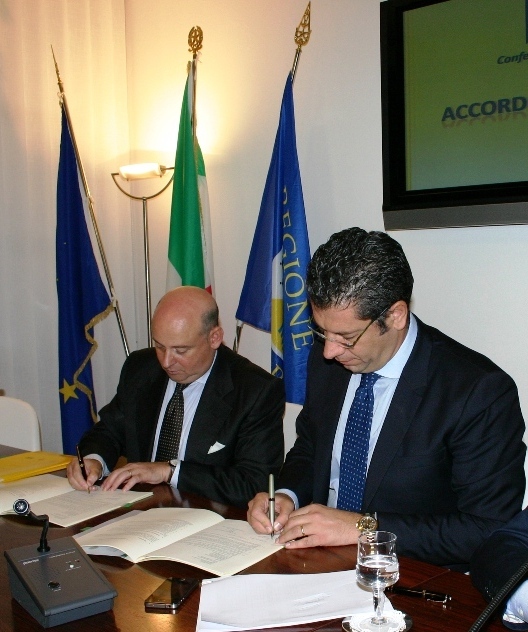 This is the fourth JEREMIE Holding Fund agreement with an Italian Region, following the one signed in Campania and the two ones signed in Sicily. Through this new operation, the overall Holding Funds managed by EIF on behalf of Italian Regions have increased to EUR 210 million. JEREMIE (Joint European Resources for Micro to Medium Enterprises) is a joint initiative launched by the European Commission (DG Regional Policy) and the European Investment Bank group to improve access to finance for SMEs in the EU within the Structural Funds framework for the period 2007 - 2013. JEREMIE enables the EU Member States and Regions to put money from the structural funds and also national resources into holding funds that can finance SMEs in a flexible and innovative way. The new initiative aims at developing and fostering the role of entrepreneurship within the EU in order to meet the objectives of the Lisbon agenda and help structural funds to deliver greater benefits to the market. At the level of the European Union, the EIF has currently signed 8 national and 5 regional Holding Fund agreements. 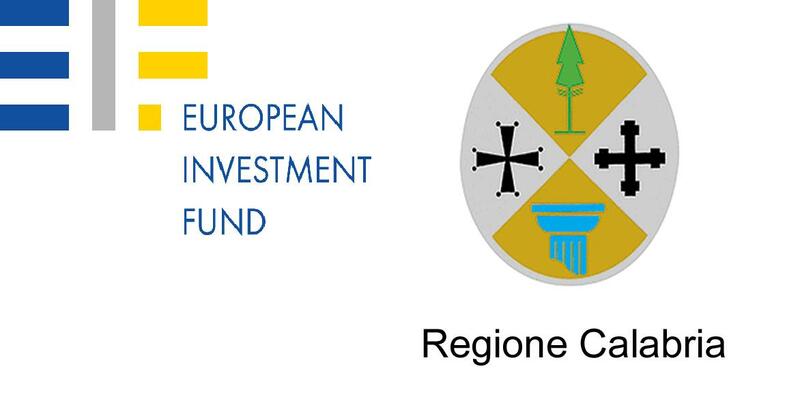 Through the JEREMIE Holding Fund in the Calabria Region, the EIF manages funds made available from the European Regional Development Fund and related public expenditure awarded for utilisation under the JEREMIE initiative. As part of the Regional Operational Programme PO FESR 2007-2013 (“Programma Operativo Regionale Calabria FESR 2007-2013”) the competent regional authorities have agreed to dedicate resources to the implementation of the JEREMIE initiative with EIF. EIF's central mission is to support European SMEs by helping them to access finance. EIF primarily designs and develops venture capital and guarantees instruments which specifically target this market segment. In this role, EIF fosters EU objectives in support of innovation, research and development, entrepreneurship, growth, and employment. The EIF total net commitments to venture capital and private equity funds amounted to over EUR 5.4bn at end 2010. With investments in over 300 funds, the EIF is the leading player in European venture capital due to the scale and the scope of its investments, especially in the high-tech and early-stage segments. The EIF commitment in guarantees totalled over EUR 14.7bn in close to 160 operations at end 2010, positioning it as a major European SME loan guarantees actor and a leading micro-finance guarantor.